It's always interesting to test a category's limits. 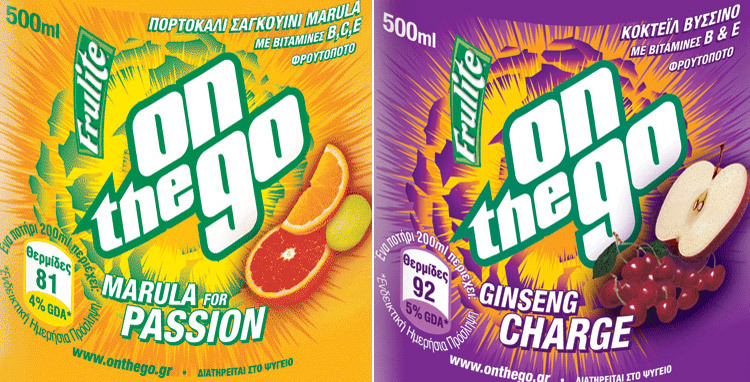 Stretching a brand of fruit juices into the energy category was a great challenge for us. 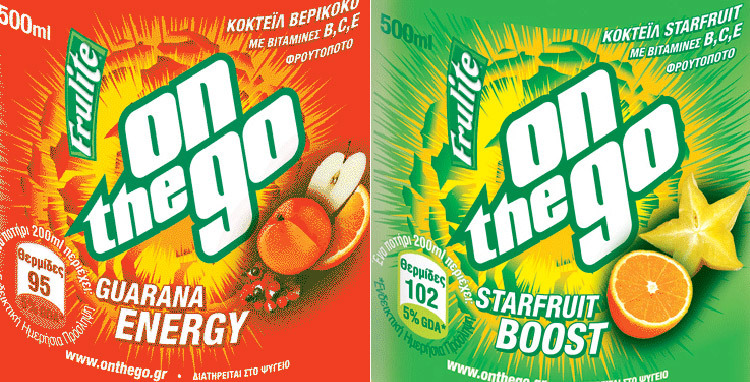 Since its launch in 1993, Frulite has been a dominant brand in the Greek market of fruit drinks offering refreshment and unique taste experiences through unique fruit combinations in carton boxes. In 2002 Coca-Cola HBC decided to make this proposition available in the on-the-go segment, adding bottled variants enriched with vitamins and energy ingredients, resulting in another big success. A few years later we were requested to develop an identity that would fullfil the brand's potential by moving its "on-the-go" subbrand closer to the "energy drinks" category. The new identity managed to bring Frulite On-The-Go where its heart was, multiplying sales and value. Nowadays, On-The-Go remains the ultimate proposition for those who want to fill themselves up with energy during the day, minimize their tiredness and be powerful once again!